Lots of great serverless content this week, so let’s jump in! If you want to listen to me talk a lot (and I mean a lot) about serverless, check out last week’s episode of the JS Party podcast! 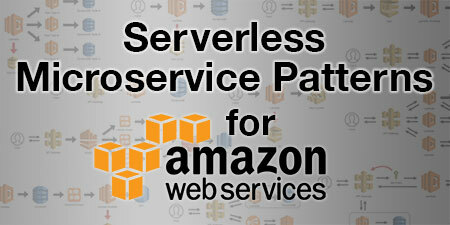 Kevin Ball, Nick Nisi, Christopher Hiller and me chat for over an hour about all things serverless. We go deep into the role of microservices and how serverless nanoservices are changing the way we build and deploy distributed software. We also talk about the business case for serverless, including the effect on developer efficiency and total cost of ownership. Give it a listen. The team over at The New Stack has put together an incredibly comprehensive Guide to Serverless Technologies ebook. 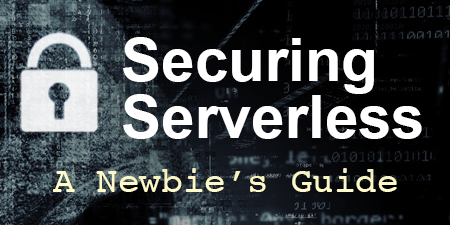 The New Stack is no stranger to producing some really great serverless content, but this compendium goes above and beyond your typical post. Like all things nowadays, there’s some sponsorship in there, but it’s also loaded with insights and case studies from industry experts. Covering everything from how serverless changes our approach to software development, to how companies can adopt and manage it, this book is worth the read. Still not sure about cold start latency? The New Stack recently reported that Business Logic Is a Leading Technical Use Case for Serverless. But that actually ranks third on their list with HTTP REST APIs and web applications coming in first with an overwhelming 73% of respondents utilizing this use case. I’m not a fan of cold starts either, but they have such a tiny impact that they are mostly unnoticeable. This week’s star is Ben Kehoe (@ben11kehoe). Ben is a Cloud Robotics Research Scientist at iRobot who is using serverless technology to presumably make Roombas self-aware 🤖. He’s an AWS Serverless Hero, a regular conference speaker (including today at ServerlessDays NYC), and an occasional blogger. Ben is also a frequent podcast guest (like here and here). 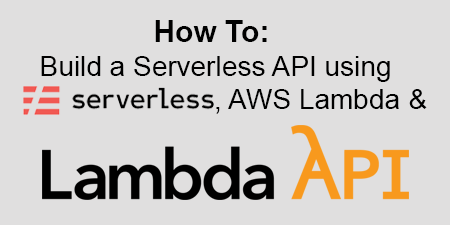 I chose Ben this week because he’s actually started a new podcast with Kas Perch (aka @nodebotanist) that’s all about serverless. It’s called ServerlessTalk and is available via Spotify. Looking forward to the next episode! Serverless is exploding! More content, more tools, more use cases and more adoption. I’m excited to be at today’s ServerlessDays NYC event to hear “case studies and lessons learned from actual serverless implementations.” The more this type of information is shared, the more serverless is demystified. If you’re interested in attending a conference like this, check out the ServerlessDays website for an event near you. If you’re in the Boston area, follow @ServerlessBOS on Twitter, or join our new meetup to get announcements regarding ServerlessDays Boston (coming early next year). I hope you enjoyed this issue of Off-by-none. Your feedback and suggestions help me make this newsletter better each week, so please feel free to contact me via Twitter, LinkedIn, Facebook, or email and let me know your thoughts, criticisms, and if you’d like to contribute to Off-by-none.